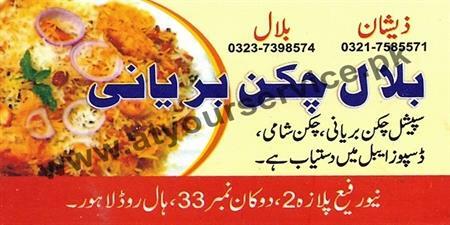 Bilal Chicken Biryani is located in New Rafi Plaza, Hall Road, Lahore. It serves special chicken biryani and chicken shami kebab. Serving facility in disposal crockery is available.